Team A are the attackers, B the defenders. 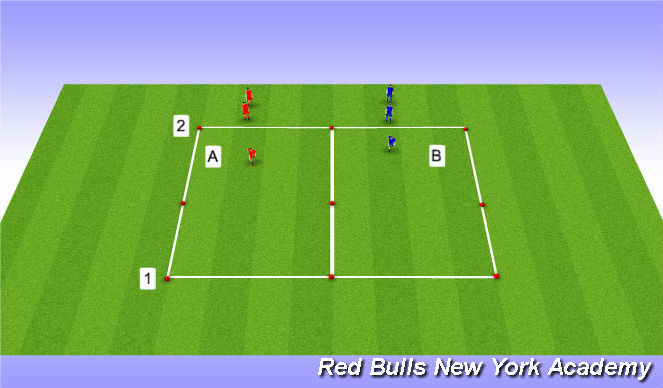 A&apos;s can score by running to either line 1, or turning and going back to line 2, but must beat the defender by a full arms length to score a point. Attacker has 7 seconds to lose the defender and score. Play for 90 seconds and then switch roles. 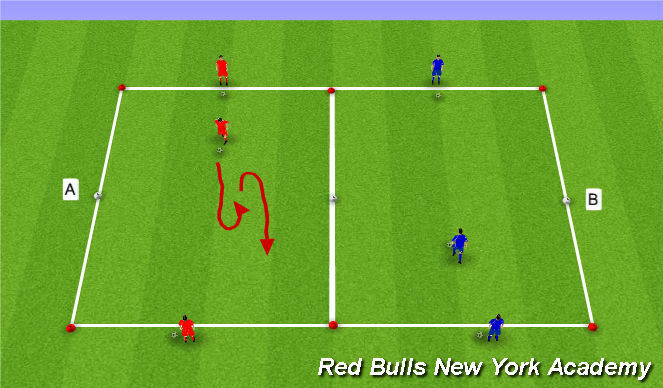 Option 2 - If defender is level, with space behind then turn. If defender is level with space ahead then use a stop-start. 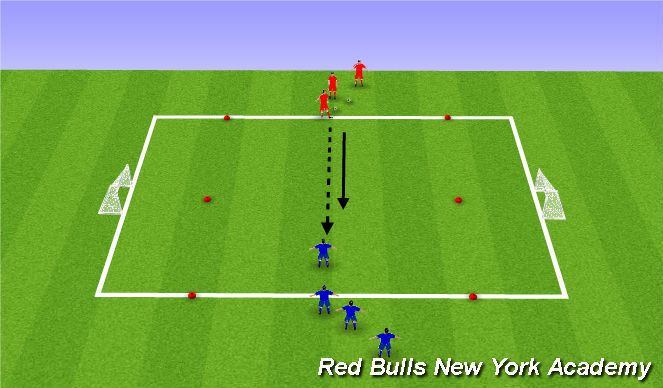 Option 3 - If defender gets ahead then use a turn. - If defender is levl with space ahead, then utilize a stop-start.